This isn't your average farm stand. Many of our items are related to historic folk practice, magical and medicinal (sold as curios). 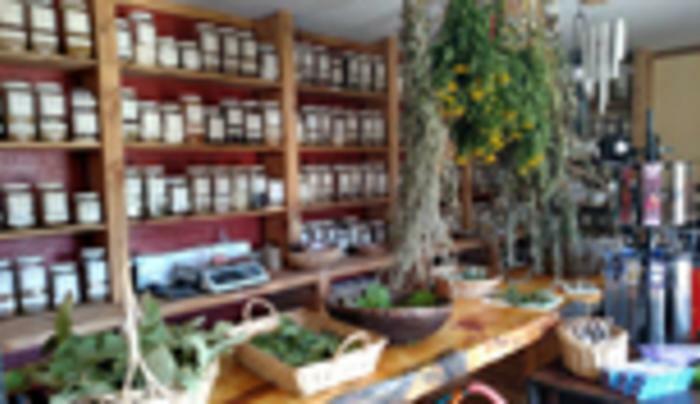 Stop in for a visit to peruse our bulk herbs and essential oils, lotions and potions and curious goods all made with magic in mind. Many items are made here on the farm or by local/small business artisans. We sell fiber for spinners and feltworkers in natural and hand painted colors. We also carry hand spun alpaca yarn. When available we carry raw honey, beeswax, candles, hand made farm soap, jewelry, magical tools, stones, and other curious goods collected from the land. Open 12-5 every day from May through October and by appointment.